You have two days to pass your audition. You better pass it, feller. You re joining the circus. Ain t that the best news you ever got? 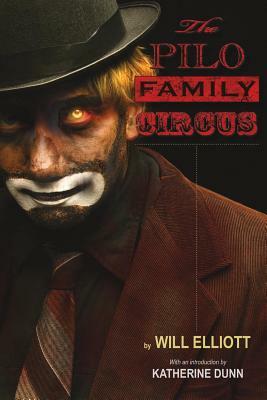 Delivered by a trio of psychotic clowns, this ultimatum plunges Jamie into the horrific alternate universe that is the centuries-old Pilo Family Circus, a borderline world between Hell and Earth from which humankind's greatest tragedies have been perpetrated. Yet in this placepeopled by the gruesome, grotesque, and monstrouswhere violence and savagery are the norm, Jamie finds that his worst enemy is himself. When he applies the white face paint, he is transformed into JJ, the most vicious clown of all. And JJ wants Jamie dead Echoes of Lovecraft, Bret Easton Ellis, Chuck Palahniuk, and early Stephen King resound through the pages of this magical, gleefully macabre work nominated as Best Novel by the International Horror Guild. Will Elliott came to international attention when his debut novel, The Pilo Family Circus, won five Australian literary awards. In America it was short-listed for the International Horror Guild Award for best novel. His development as a writer began at nineteen, when Elliott dropped out of law school and was diagnosed with schizophrenia. With influences as diverse as Chuck Palahniuk, Bret Easton Ellis, H. P. Lovecraft, and early Stephen King, his writing is at turns creepy, violent, spare, and wickedly imaginative. Now twenty-nine, Elliott is working on a follow-up novel and has recently completed a memoir. He lives in Brisbane, Australia.